If you have periodontal disease, root planing may be a treatment that can improve the health of your teeth and reduce your risk for tooth loss. 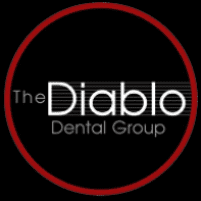 The team at The Diablo Dental Group, located in Danville, California, consists of experts in laser-assisted root planing and other treatments that help to solve your gum disease and prevent tooth and bone loss. For expert root planing and periodontal treatment, call or schedule an appointment online. Periodontal disease, or gum disease, is a condition that affects the teeth and underlying bone when gingivitis has not been effectively treated. Gingivitis is caused by infection, which develops from plague that remains on the surface of the teeth when tooth brushing has not been effective. Plaque develops into tartar, which is calcified deposits that accumulate on the surface and roots of the teeth. Tartar causes periodontitis, an infection that grows beneath the gum line and into the bone. To treat periodontal disease, tartar buildup and its accompanying infection must be removed from the roots of the teeth in order to allow the gums and bone to heal. Once the source of infection has been removed from the roots of the teeth, the gums and surrounding tissues have a chance to heal and reattach to the roots again. What does root planing entail? At The Diablo Dental Group, they proudly offer laser-assisted root planing. Using advanced technology, your dentist is able to pinpoint specific treatment areas with accuracy. Root planing and scaling treatments are usually done one section of the mouth at a time, over two or more visits. You are given local anesthesia so that you are comfortable throughout the process. You may have some tenderness immediately after your treatment, but this usually subsides within a couple of days. Root planing, root scaling, and supportive periodontal therapy all work together to heal your periodontal disease and prevent bone and tooth loss. For root planing and other periodontal disease treatments, call or schedule an appointment online with The Diablo Dental Group.